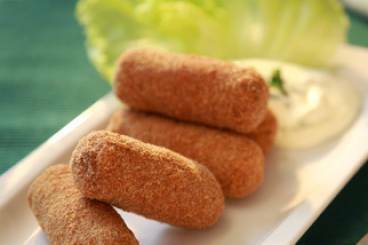 Spain is famous for its bold and dramatic traditions such as fiestas and the flamenco – Spanish food is no different. Spanish cuisine combines fresh flavours with Mediterranean flair and is a great choice for gourmet foodies and the health conscious alike. If you’re looking to add a twist to your repertoire of dishes, our Spanish cooking classes will do just the job. All of our Spanish classes centre on traditional recipes and ingredients. We offer paellas, a range of tapas dishes using ingredients like chorizo and squid. If you haven’t cooked this sort of thing before, so much the better; our chefs will give you all the guidance you need. As well as learning about Spanish food and enjoying a fantastic day or evening out, our classes are a great way to improve your general cooking skills. Our Spanish classes range from quick 30 minute sessions to a full four hour masterclass, so you can choose a class and menu that suits you. 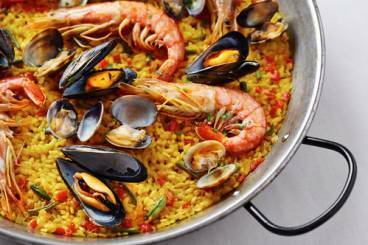 Spain has miles and miles of coastline and its recipes are filled with tastes of the sea. If you love shellfish but are nervous about preparing it at home, our cooking classes are the perfect solution. Our Spanish classes include menus that incorporate mussels, squid, prawns, mackerel and even cuttlefish, simply pick a class and our Chefs will teach you to cook the seafood on offer to perfection. Mealtimes are not something to be rushed in Spain and the same is true of our Spanish classes! Once the class is over you’ll have time to relax and enjoy your meal with a glass of wine from our bar. Our London ateliers feature high-tech kitchens and stylish dining areas so you can cook and dine in comfort.